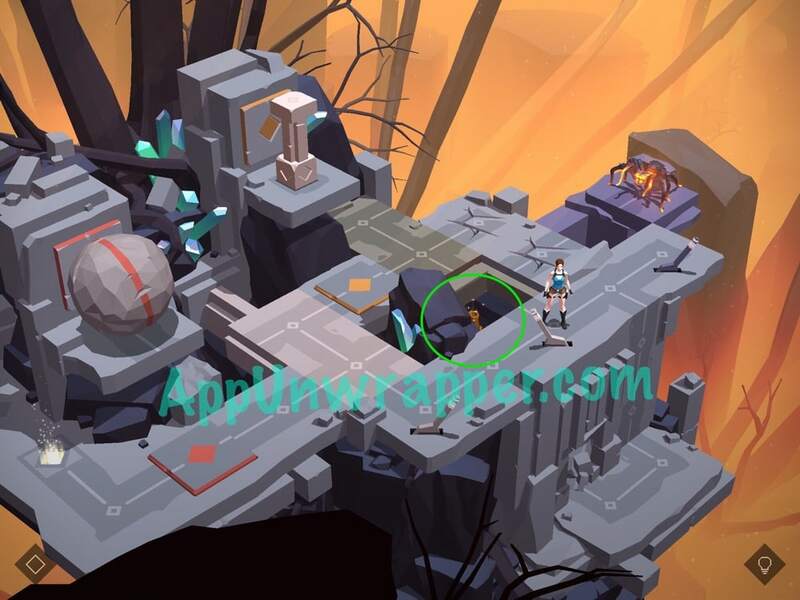 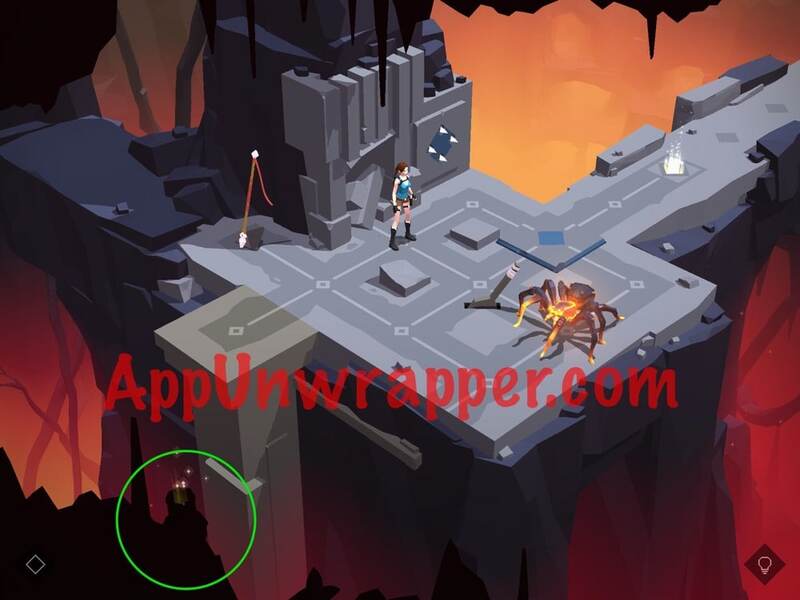 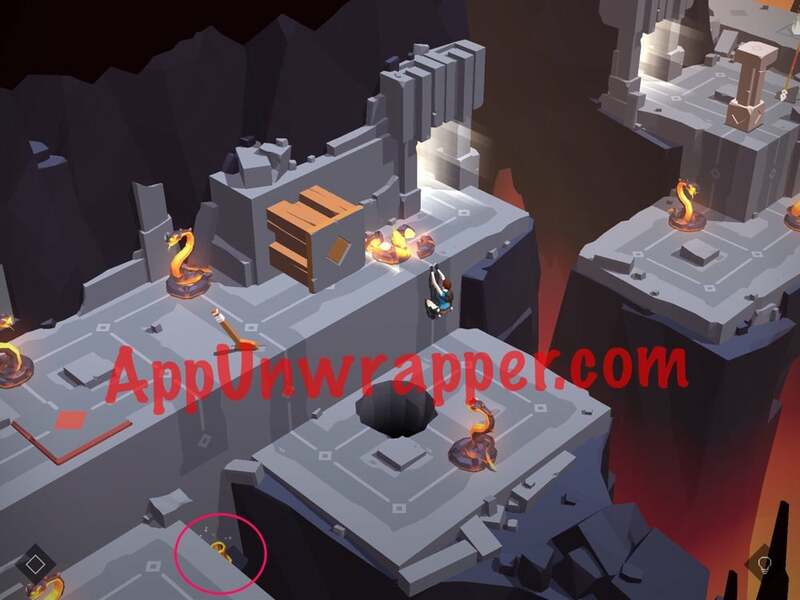 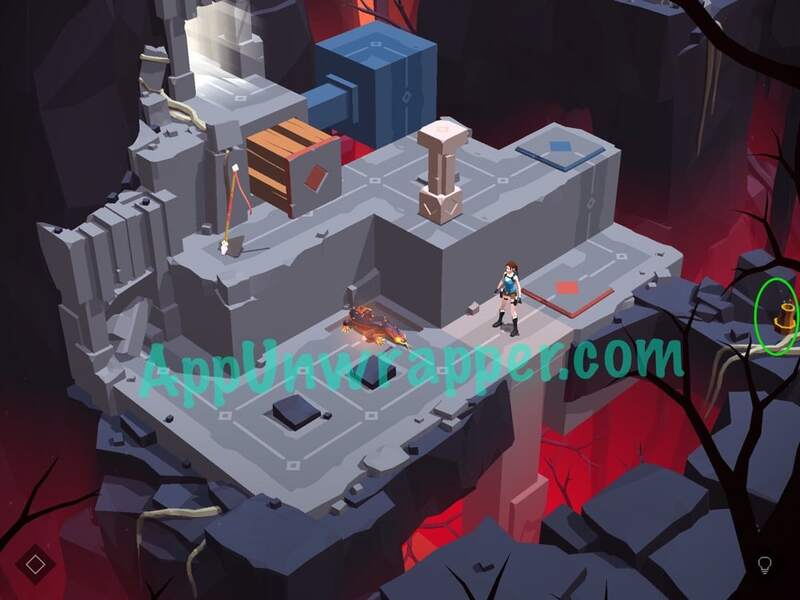 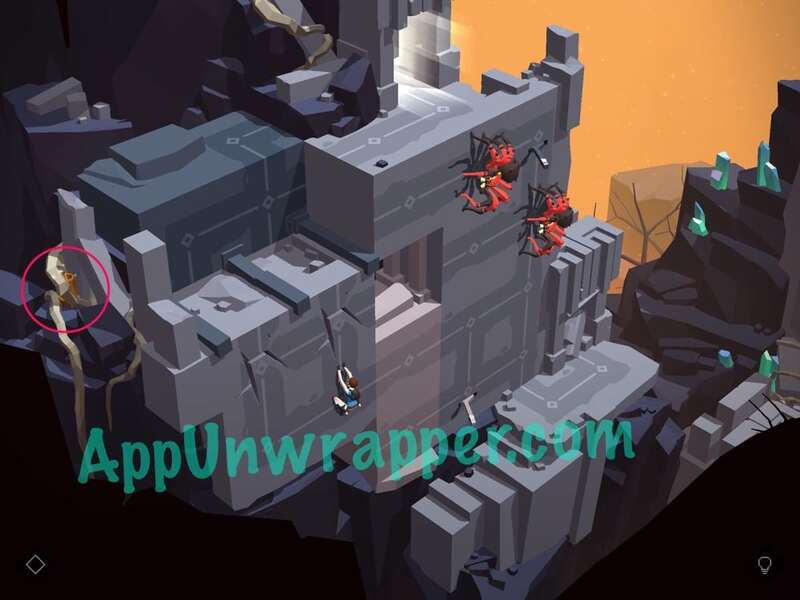 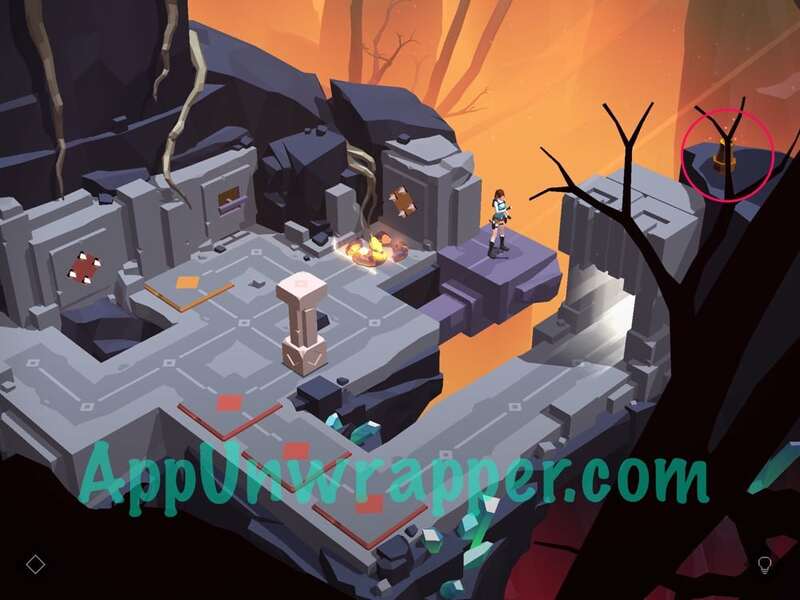 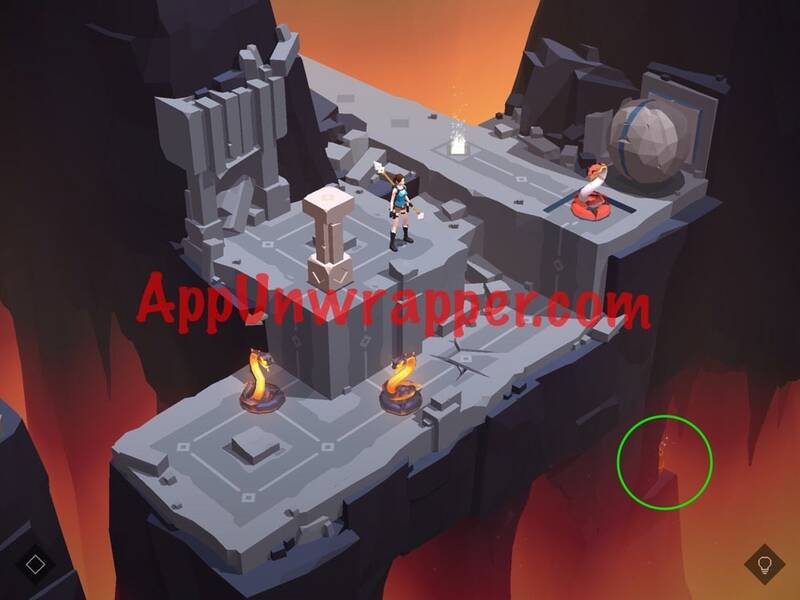 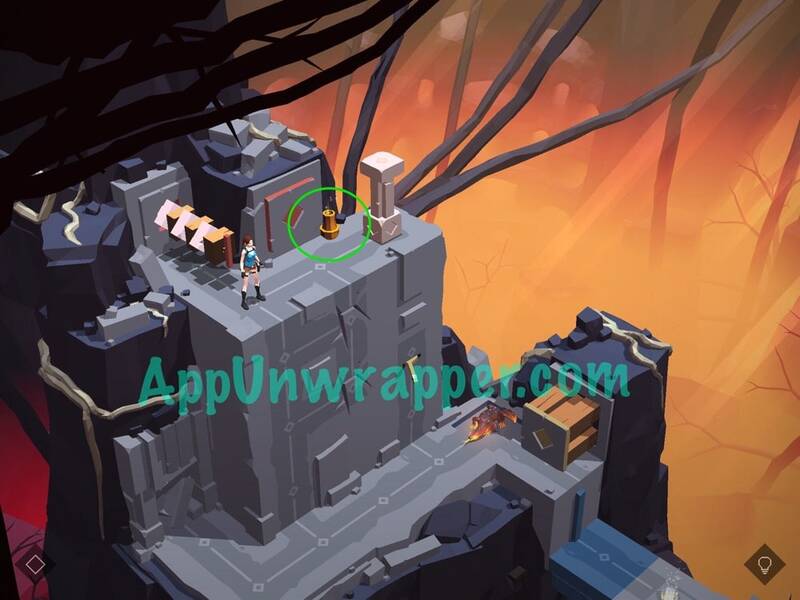 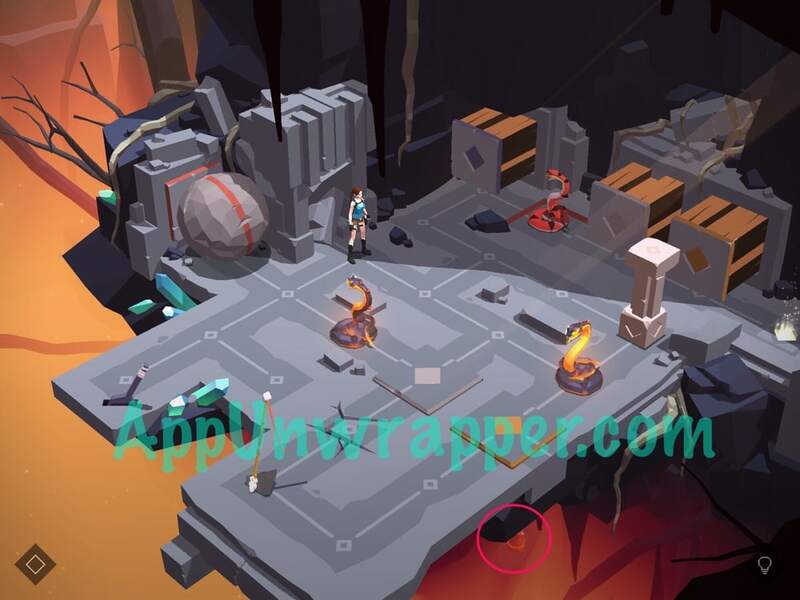 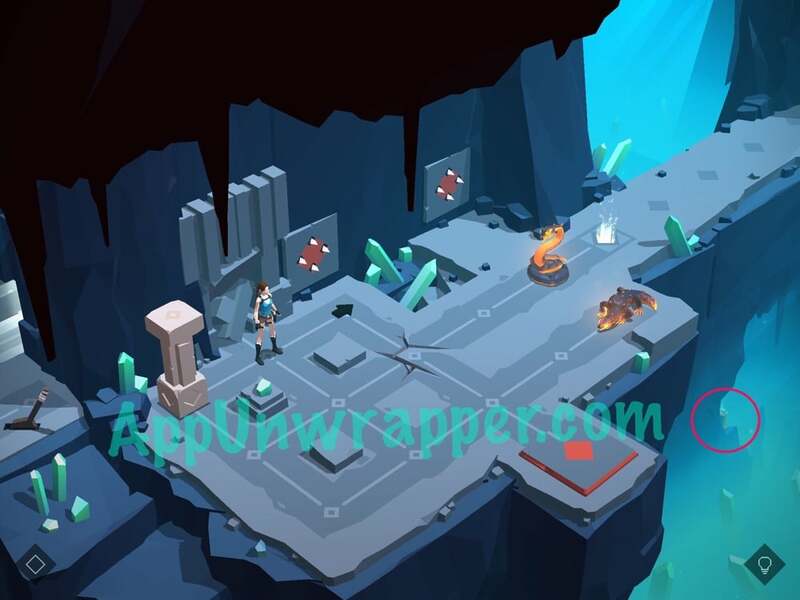 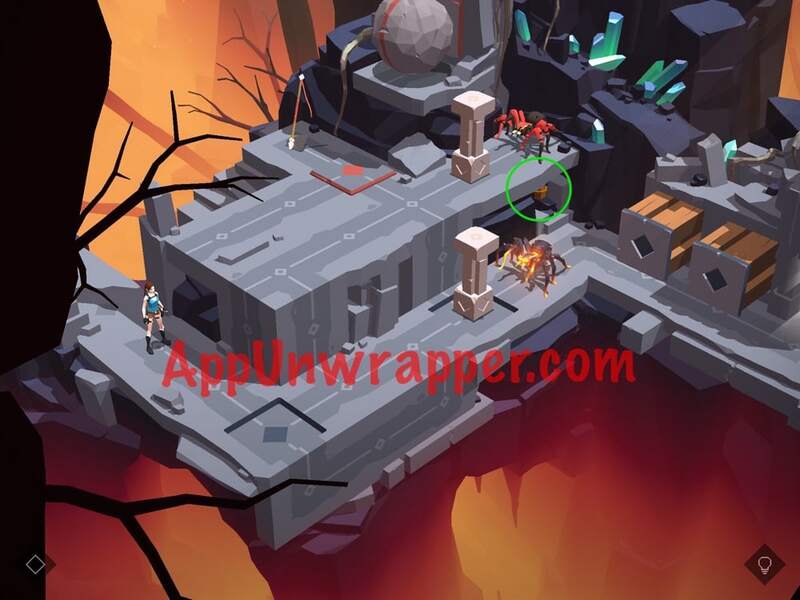 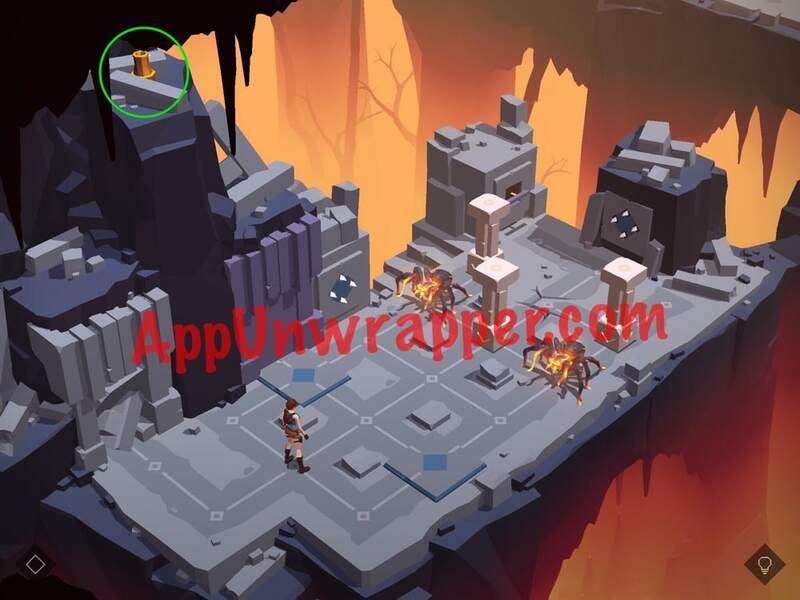 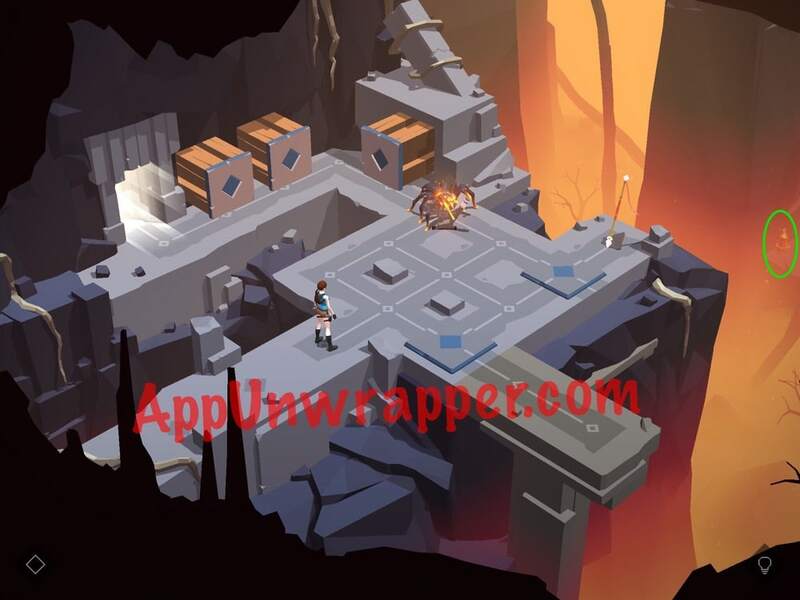 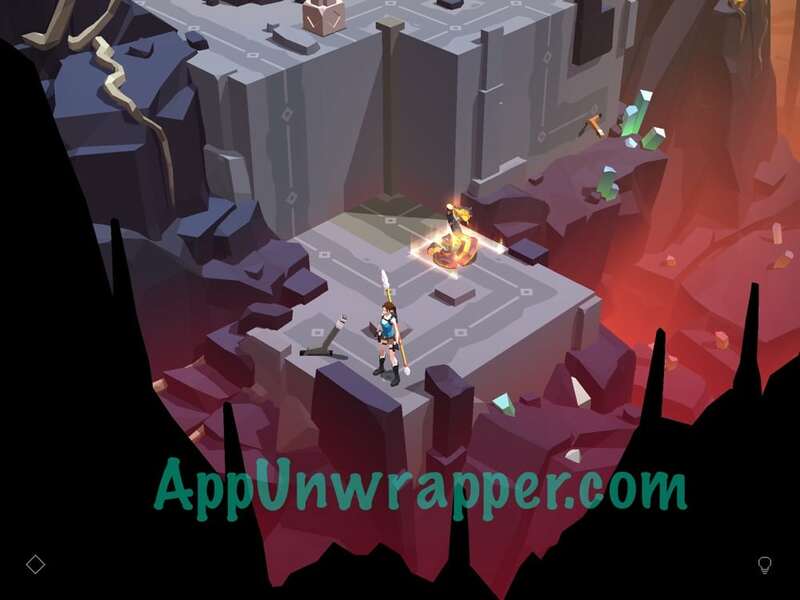 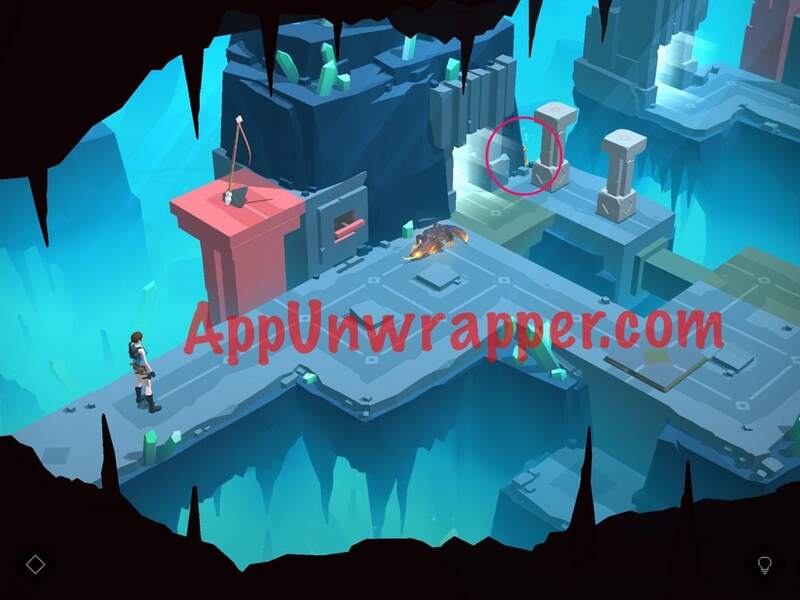 This is a complete walkthrough guide with videos and relic locations for the Shard of Life expansion of the iOS and Android game Lara Croft GO by Square Enix. 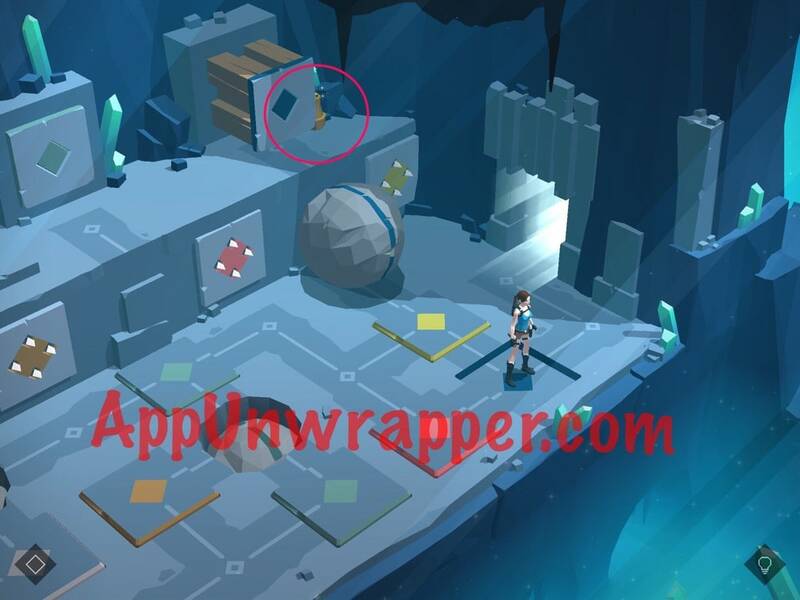 Feel free to ask for extra help in the comments section. 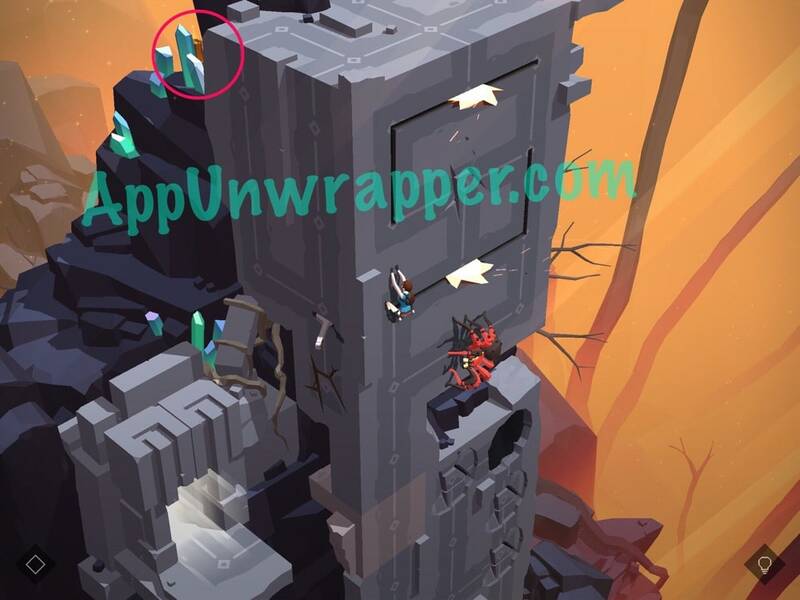 You can see the outfits at the bottom. 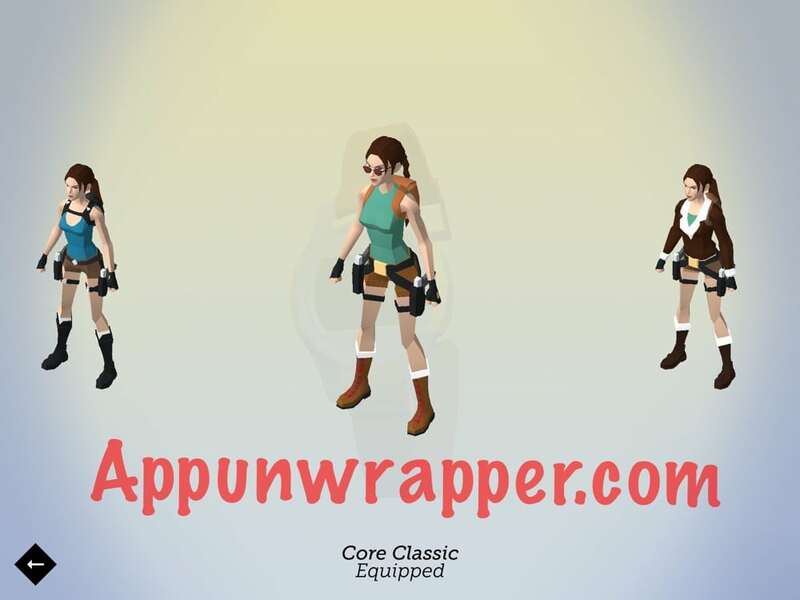 See my walkthrough for the original content. 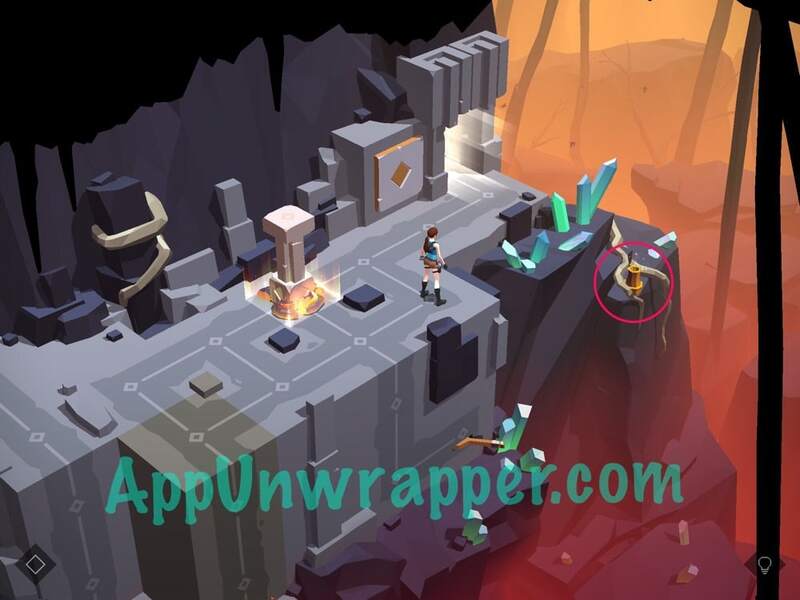 See my Lara Croft GO review. 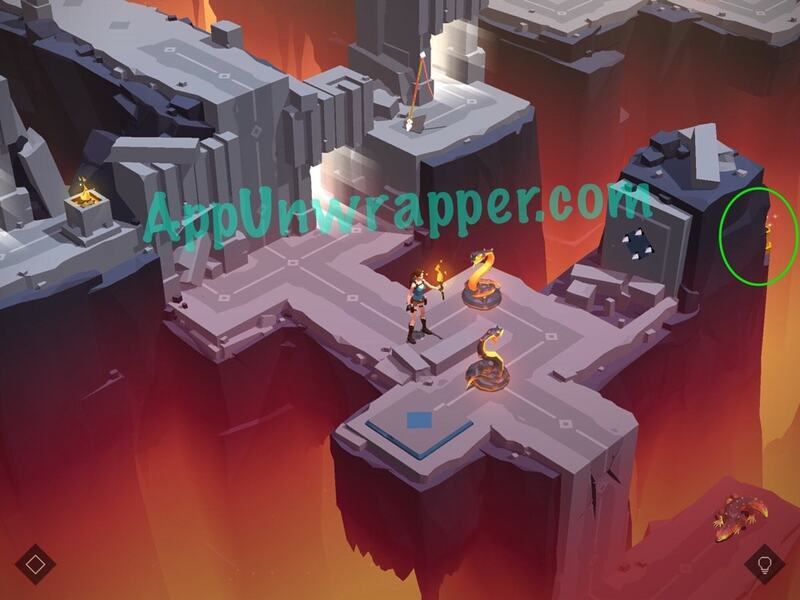 This level introduces a new enemy, which I will call Firestone Snakes for now. 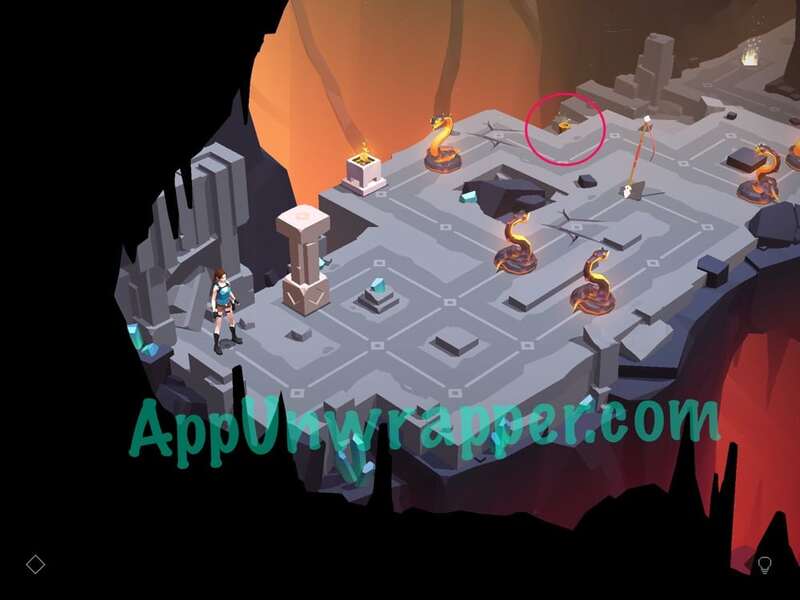 They don’t die, not the way the regular snakes do. 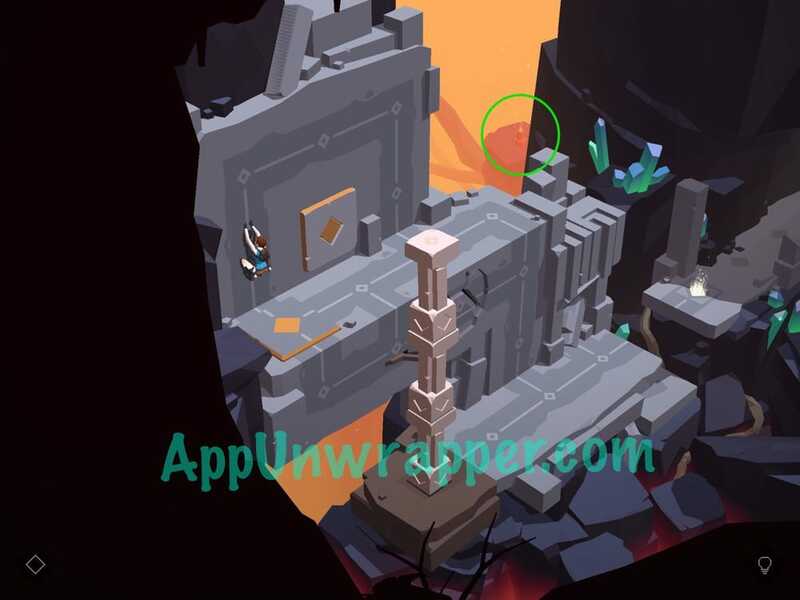 Instead, they crumble like stone and then re-form after four moves. 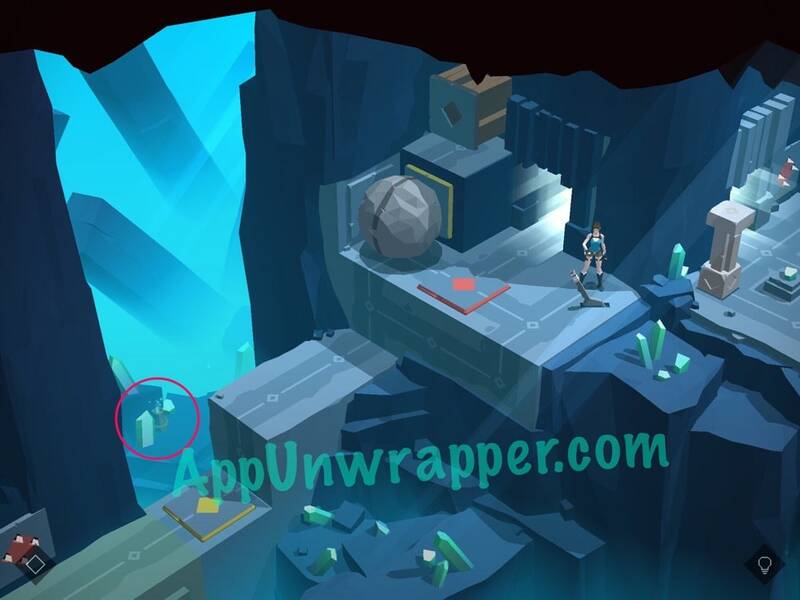 You’ll see a glowing square being drawn around them, one Sid at a time. 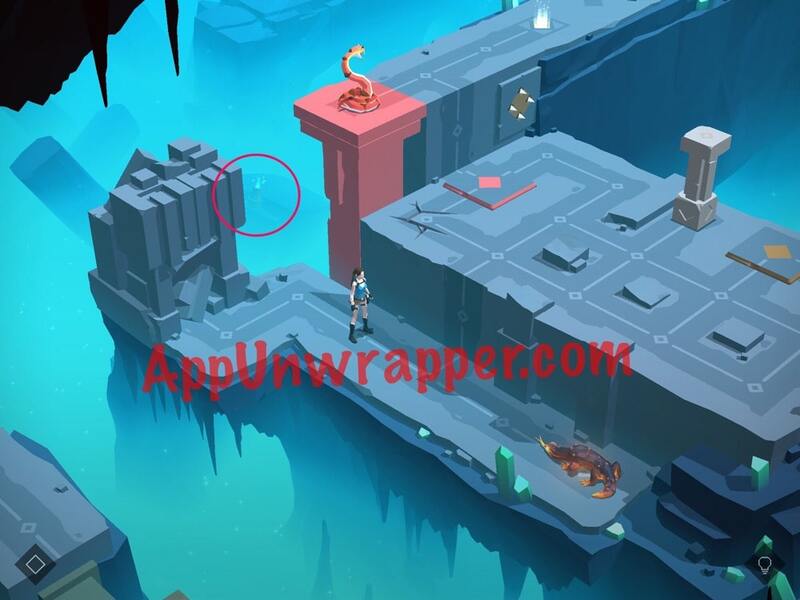 When the square closes, the snake comes back to life. 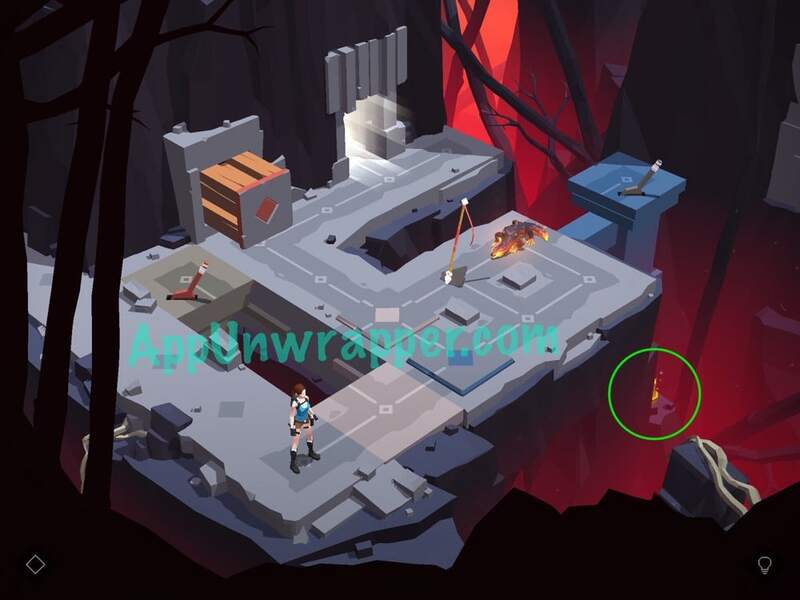 The only way to prevent this is to push something on top of the crumbled snake or have Lara stand on it. 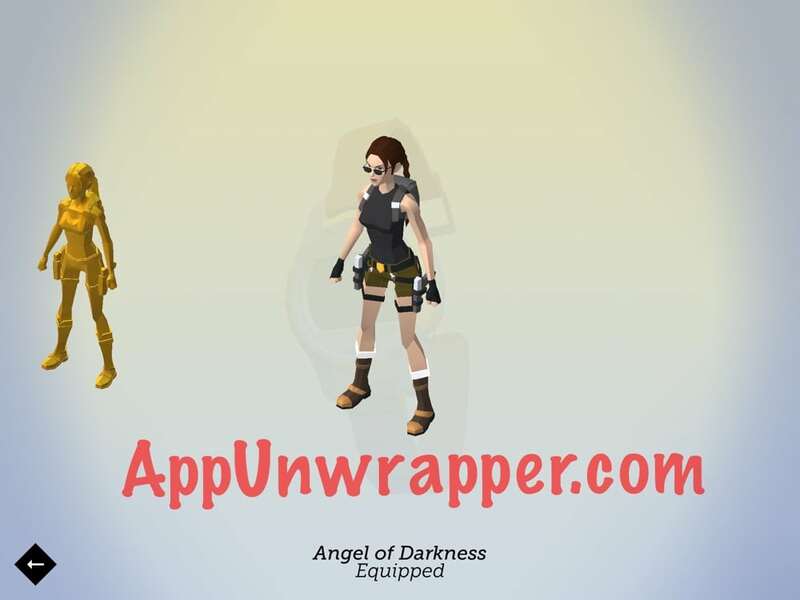 You get this for collecting all the Obsidians. 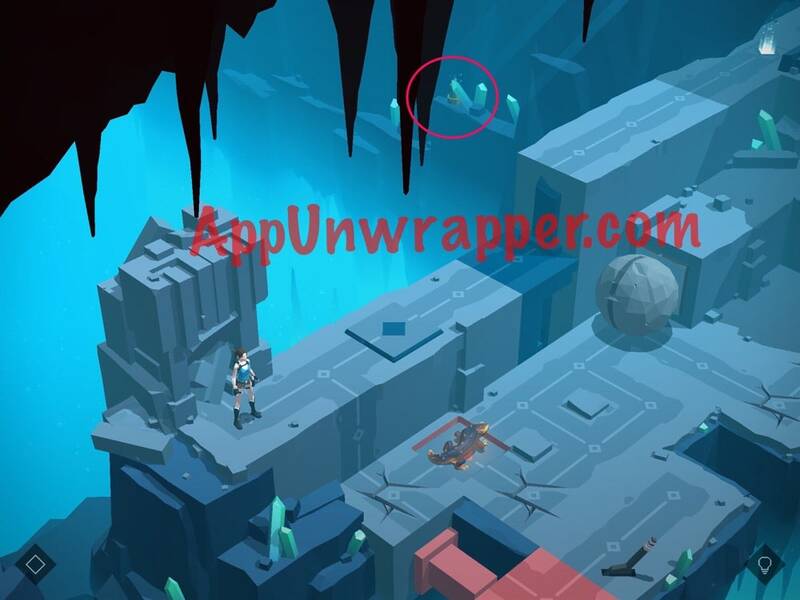 You get this for collecting all the Sacred Beetle Fragments.